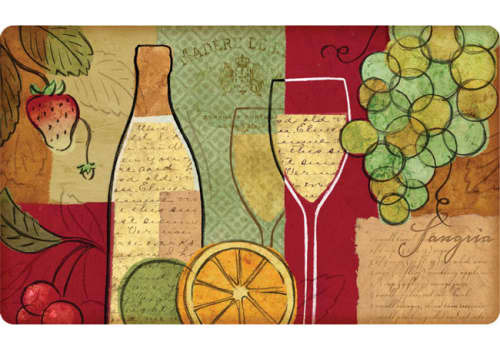 Decorative, stain proof, anti fatigue mat. Beauty & Comfort. Our kitchen mats have a soft foam backing which provides exceptional comfort during long periods of standing. They are produced with UV stabilized inks, allowing them to stand up exceptionally well to sunlight and making them UV fade resistant. These foam mats are stain proof and the surface repels spills - making them great mats for sink use. Easy to clean (simply wipe mat with mild soap and water), so they stay looking fresh and new much longer. Ideal Uses Include: Kitchen Sinks, Kitchen Islands, Laundry Rooms, Utility Sinks. 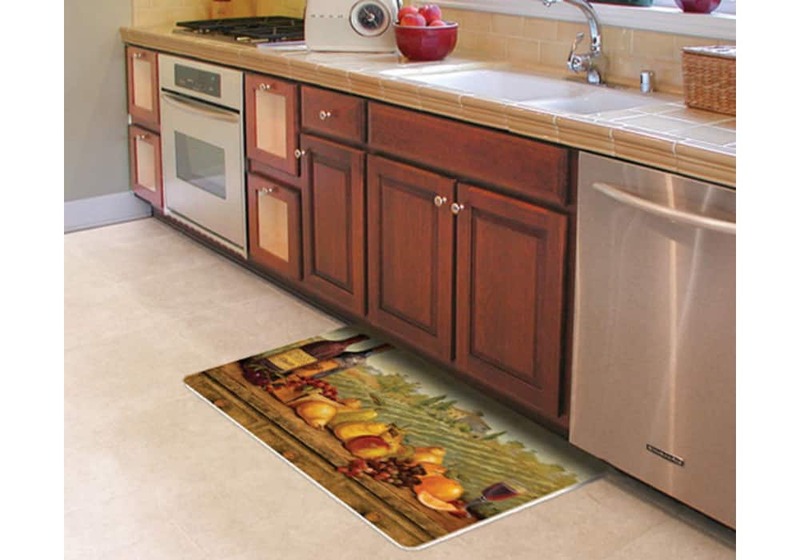 Our kitchen floor mats have a soft foam backing which provides exceptional comfort during long periods of standing. They are produced with UV stabilized inks, allowing them to stand up exceptionally well to sunlight and making them UV fade resistant. These foam kitchen mats are stain proof and the surface repels spills - making them great mats for sink use. They are easy to clean (simply wipe mat with mild soap and water), so they stay looking fresh and new much longer. 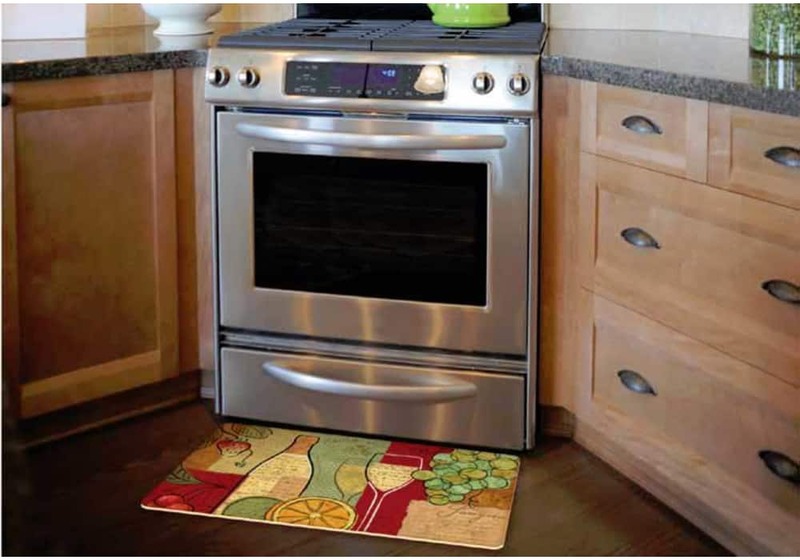 Ideal Uses For Kitchen Floor Mat: Kitchen Sinks, Kitchen Islands, Laundry Rooms, Utility Sinks.